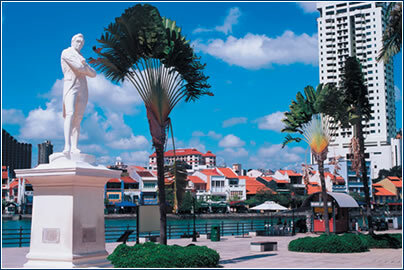 Southeast Asia’s great melting pot, Singapore is a cultural potpourri that leaves the unsuspecting visitor dazzled. A happy collision of opposites, the antiseptically clean inner city is never far from rainforests, unique night safaris, or a bumboat’s ride from Changi jetty. There are sandy beaches, and an aquarium. I would recommend going by cable car and coming back by boat. Night Safari in the zoo is amazing. You can get really close to the animals, and if you have a good camera you can get great shots. Good destination if you are looking for electronic goods. Favorite place for window shopping is Orchard road, even if a little expensive. – near Orchard Road Blvd. NIght safari – it’s great concept. Animals do live after dark! Best-kept secret: Pulau Ubin island between Singapore and Malaysia, with its narrow streets and original buildings is a great picture of how the city looked 30-40 years ago. Advice: Travel by ferry boat to the Malaysian Tioman Island to experience the coral sea and tropical jungle. Language: The four official languages are Malay, English, Chinese (Mandarin) and Tamil. Most Singaporeans are bilingual and speak English, which is used for business and administration. Religion: Taoist, Buddhist, Christian, Hindu and Muslim. Time zone: GMT + 8. Electricity: 220/240 volts AC, 50 Hz. Plug fittings of the three-pin square type are in use. Many hotels have 110-volt outlets. 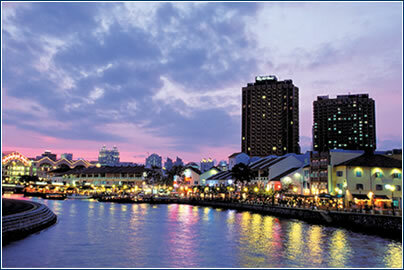 http://www.singapore-hotels-travel.net/ – the URL says it all: accommodation, discounts, reservations, etc. · Vibrant economic activity more than compensates for Singa-pore’s lack of natural resources. The economy relies on entrepôt trade, shipbuilding and repairing, oil refining, electronics and information technology, banking and finance and, to a lesser extent, tourism. High-technology manufacturing, particularly computer and telecommunications equipment, and financial services, mainly banking and insurance, form the kernel of the economy. There is also an important oil-refining industry, and a recent influx of pharmaceutical firms. · English is widely spoken in business circles. Appointments should be made and punctuality is important. Chinese people should be addressed with their surnames first, while Malays do not have surnames but use the initial of their father’s name before their own. Visiting cards are essential, although it is policy for government officials not to use them. Office hours: Mon-Fri 0900-1300 and 1400-1700, Sat 0900-1300. 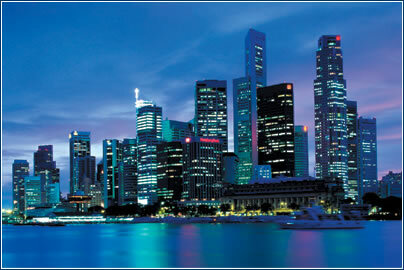 · Singapore is the top convention city in Asia and ranks among the top 10 meetings destinations in the world. There are many hotels with extensive conference facilities, including the latest audio-visual equipment, secretarial services, translation and simultaneous interpretation systems, whilst Raffles City, a self-contained convention city, can accommodate up to 6000 delegates under one roof. Geography: Situated off the southern extremity of the Malay Penin-sula, to which it is joined by a causeway carrying a road, railway and waterpipe. The Republic of Singapore includes some 64 islets. Climate: Warm and fairly humid summer temperatures throughout the year (approximately 30°C/86°F during the day and 23°C/74°F in the evening). There is no distinct wet/dry season. Most rain falls during the northeast monsoon (November to January) and showers are usually sudden and heavy. Government: Republic. Gained full independence from the UK in 1965. Head of State: President Sellapan Ramanathan since 1999. Head of Government: Prime Minister Goh Chok Tong since 1990.